Club Members have access to the water seven days a week during the summer and at weekends during the winter. BCYC has a buddy system for windsurfers to use the water when there is no club safety cover. 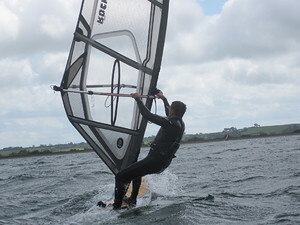 The club has wetsuits, buoyancy aids and windsurfing kit that can be hired by members. There is no need to book, it is available on a first come, first served basis - simply fill in a hire form and take the kit off the rack.